The Botanist has been one of the most popular bars in Birmingham since opening in Temple Street in April 2015 but if we had one complaint it would be that it gets far too busy! 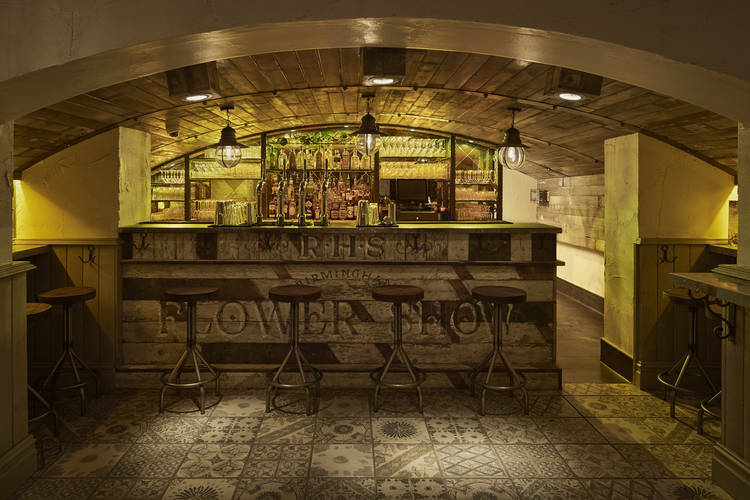 Well good news, The Botanist’s new basement bar and private dining area The Plant Rooms opens its doors on Thursday, July 21 after a £200,000 renovation. The Plant Rooms has a separate bar area, two tables for dining and a private dining area – in total seating 30. The Botanist is renowned for delicious dishes served in wheelbarrows and cocktails presented in watering cans in keeping true to the Botanical theme. And The Plant Rooms continues this theme with a yes, you’ve guessed it – a focus on plants – it’s been renovated to resemble an underground botanical haven – with the added quirky detail of a “mood wall” which is actually a window that lets in light. “In summer it’s all blues and greens, orange for autumn, purples and red for winter,” says Harriet Giles, the Botanist’s business development manager. The basement was previously used as a gym. Now one of the best places to drink gin in Birmingham. The Plant Rooms will be open Thursday, Friday and Saturdays and is also available to hire for free with a minimum spend.